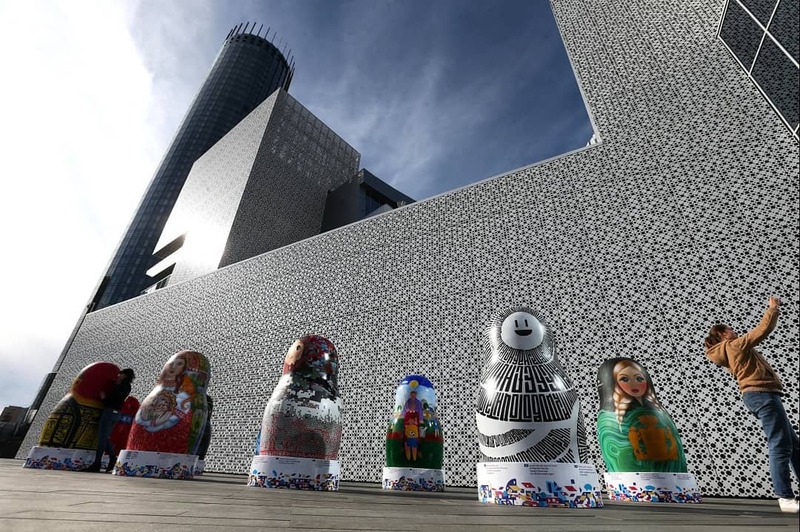 Yesterday, ten matryoshka dolls designed to be ambassadors for the Russia’s bid to host the World Exhibition EXPO 2025 were presented in Yekaterinburg, before being sent on a world tour to the UK, Argentina, Belgium, France, Italy, China, the United Arab Emirates, Germany, Spain and South Africa, where they will be exhibited in famous places such as the Art Gallery in Cape Town, the Palace of the Marquis de Alfarras (Russian House) in Barcelona and the Shanghai Center for Contemporary Art M50. According to YT information, Yekaterinburg has high chances to become the winner. The event will take place from May to November 2025, and would bring to Ural’s capital over 14 million visitors – an astonishing number. The presentation took place in the outside area of the Yeltsin Center and was attended by politicians and international quests. “I wish good luck to the Sverdlovsk region and Yekaterinburg. I hope the city will become a winner, and the World Exhibition will be held here, because it’s really a cultural and historical center”, said Mr. Haddad, a member of the FIJET delegation, being currently on a visit in the city. 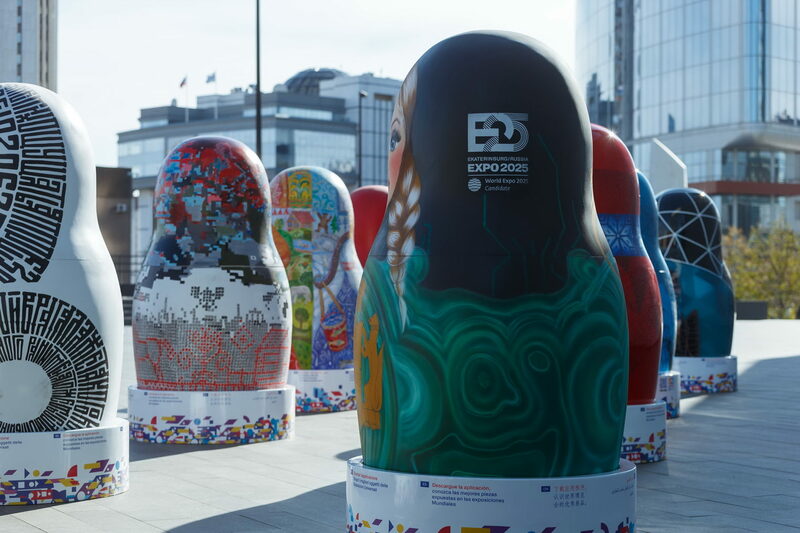 Senator Arkady Chernetsky praised the idea, calling the dolls a collective image of Russia. “This is our most known souvenir. And the paintings convey aspects of our culture, our art, our achievements – of what our country is proud of”, he said. 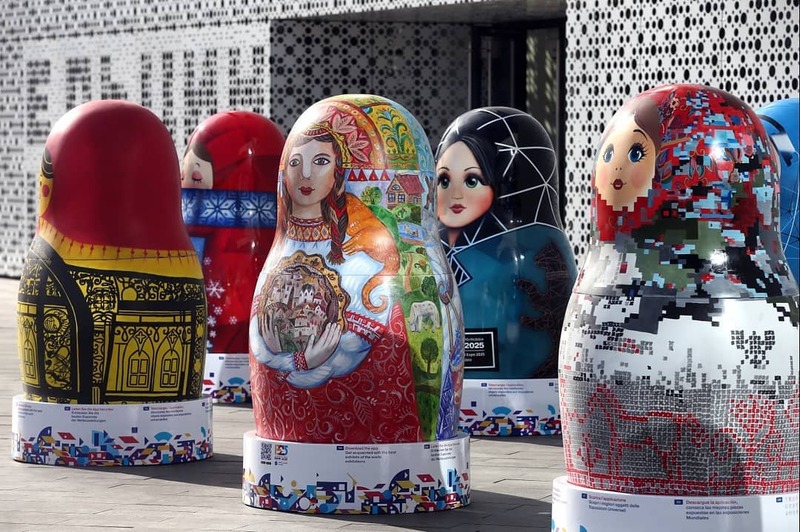 The creators of the dolls are designers from the Ural Region: Tim Avvakumov, Alena Azernaya, Anna Belousova, Andrey Karpov, Pavel Agalakov, Melissa Vakhabova and Dmitry Shishkin. 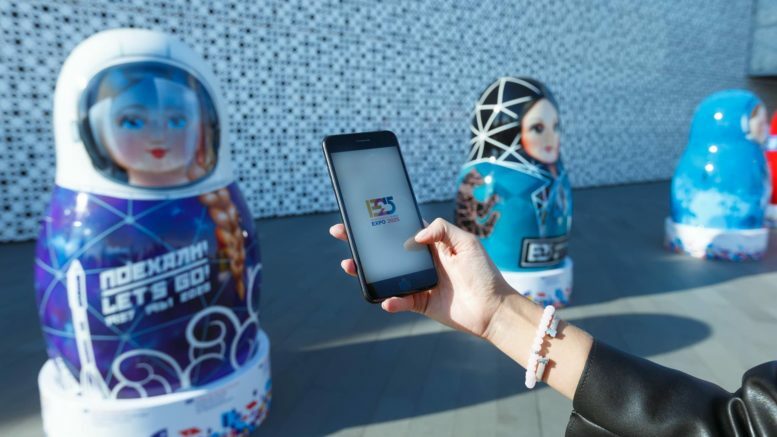 The art objects are created in human height, and are supplemented with elements of virtual reality – the QR codes displaying on smart phones information about the most important achievements of mankind presented at world expo exhibitions at various times. 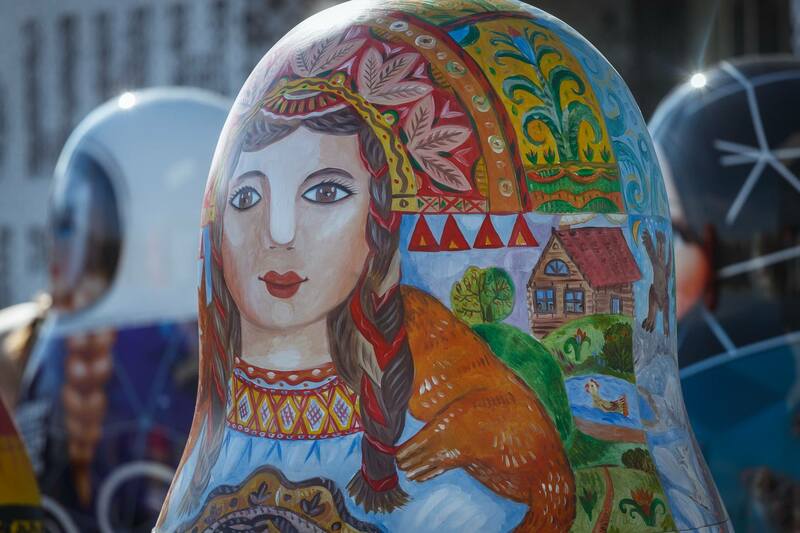 Ten more unpainted matryoshka dolls will fly along, to be completed by local artists in the respective countries. 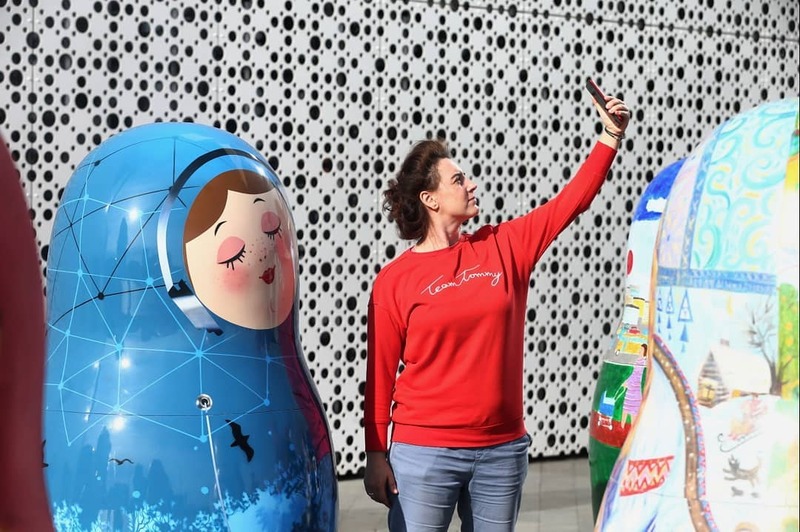 In November 2018, all twenty dolls will be presented on the sidelines of the 164th session of the General Assembly of the International Exhibitions Bureau, where the host city for the World Expo 2025 will be announced. 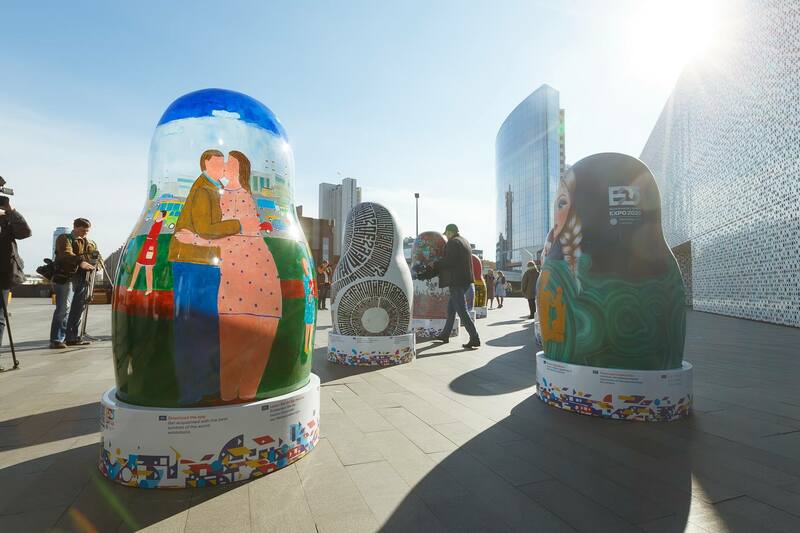 Earlier, video clips about the Russian bid to host Expo 2025 screened at the 163th General Assembly of the Bureau International des Expositions (BIE) have made it to the finals of the top international festival of non-fiction and documentary films 2018 Corporate Media & TV Awards and have been nominated for the Best Picture award.